Turn every client interaction into a cross-selling opportunity. 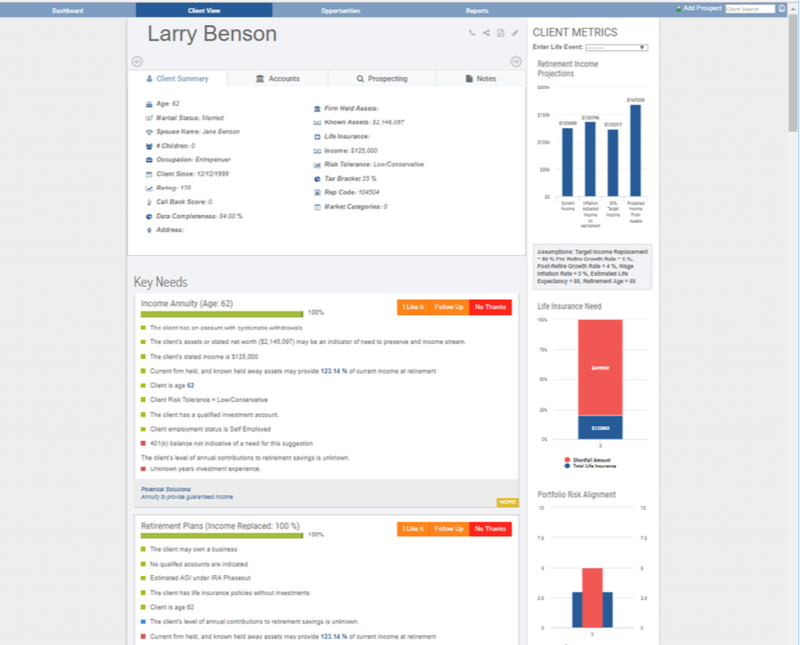 The Client View Tab identifies the specific rank-ordered sales opportunities (WHAT) for each client and prospect with reasons (WHY) each opportunity is relevant, and puts this information right at the financial professional’s fingertips. A client report of all the client’s needs can also be generated from this view. Everything a producer needs to engage the client is on this screen.